New Events — Oriental Medicine Specialists, P.C. 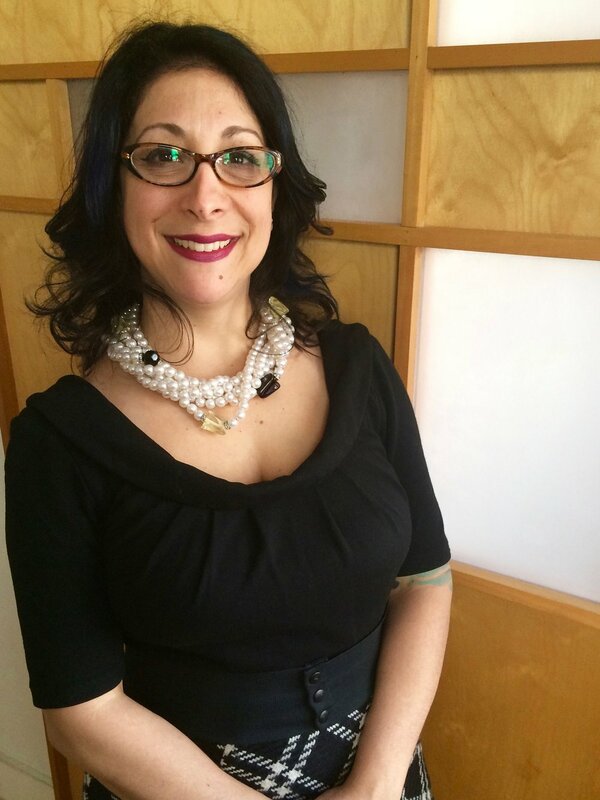 Juliette Aiyana is a Licensed Acupuncturist, Chinese Medicine Herbalist and leading expert in the treatment of dermatological disorders with a private practice in NYC. OMS is excited to welcome Ms. Aiyana to RVA and are delighted to have her as our first Visiting Specialist. OMS will be hosting Juliette on Friday, March 29 and Saturday, March 30. She will be offering Herbal Consultations for both adults and children. To learn more about Juliette and how Chinese herbs can treat skin disorders such as: eczema, psoriasis, rosacea, acne, fungal, HSV, shingles, and more visit her website. Appointments are going quickly. Reserve your appointment today by calling (646) 504-2251. The Road to Parenthood is a volunteer run, non-profit 501(c)(3) organization that promotes infertility awareness, education, and support to help those who struggle on their path to parenthood. Spring Break - Have a fun! Win a FREE IVF Cycle! Click here to find out how! Only $10 per person! This is an educational workshop for anyone faced with the challenges of infertility. The workshop will cover topics including the causes of infertility, when to seek treatment, and what treatments are available. Participants will also learn about Holistic & Integrative medicine options such as acupuncture and nutrition, as well as tools for the emotional and financial aspects of infertility. Keith Bell, L.Ac. & Josh Sessions CHC will be presenting Holistic Options for Optimal Fertility at this years workshop! Science and medicine are confirming what many have already experienced: the connection between the body and the mind is powerful and has profound implications for the ways we approach disease and chronic conditions. Come for a free screening of this film about the ground breaking research into the mind-body connection, and stay for a panel discussion. OMS is once again proud to be Sponsor. The Race to Parenthood 5k is the featured event and fundraiser for the Road to Parenthood, a volunteer run, non-profit 501(c)(3) organization that promotes infertility awareness, education, and support to help those who struggle on their path to parenthood. Unlike boxed programs that only come supplements and basic instructions, this program offers you a life changing experience along with the support, encouragement & inspiration you need to succeed. Our workshops meet weekly for 4 to 5 weeks. Each week you also receive a detailed food plan, helpful recipes & great snack options. These plans let you enjoy the bounty of the season while thoroughly nourishing your body. We encourage our groups to try new foods and flavors. In this program you’ll experience a wondrous variety of flavors, colors, energetic properties in foods that provide high quality protein, complex carbohydrates and essential fats. Most importantly we’ll discover foods, flavors, feelings and friends we never could have imagined. OMS is proud to sponsor this event again. Our office will be closed today. We are excited to OFFICIALLY ANNOUNCE that Oriental Medicine Specialists, P.C. has signed on as PLATINUM SPONSOR for this great community event. There will be exciting announcements, fun giveaways, a VIP reception, and inspirational talks. Plus, our friends, the fabulous guests of honor, Ricki Lake and Abby Epstein. Many of you told us a Detox would be the perfect way reset your diet and begin a healthy New Year. We agree so we’re pleased to offer this 4-week New Year’s Detox Workshop. Based on years of experience and time tested nutritional science, this 4 week program utilizes a medicinal diet along with food-based supplements from Standard Process Inc. Our Health Coach, Josh Sessions will be your guide. Each week, you’ll a detailed food plan designed to lighten your body’s toxic load, improve digestion and support healthy weight management. Many of you told us a Detox would be the perfect way reset your diet and begin a healthy New Year. We agree so we’re pleased to offer this 4-week New Year’s Detox Workshop. Our Health Coach, Josh Sessions will be your guide. Each week, you’ll a detailed food plan designed to lighten your body’s toxic load, improve digestion and support healthy weight management. OMS is proud to Sponsor this event and the important work of the True Colors Fund! Cyndi Lauper is excited to announce the 5th annual Cyndi Lauper & Friends: Home for the Holidays benefit concert on Saturday, December 5 at New York City's historic Beacon Theatre in support of the True Colors Fund's work to end homelessness among lesbian, gay, bisexual, and transgender youth. Our office will be closed this day. We would like to say "Thank You!" to all our nations veterans. We appreciate your service and sacrifice. Sponsored by OMS, Taking Control of Your Ticking Clock is a FREE educational workshop for women, men, family, and friends faced with the challenges of infertility. The workshop will cover topics including understanding the causes of infertility, when to seek treatment, and learning what treatments are available. Participants will also be introduced to alternative Eastern Medicine/Holistic methods to be used in conjunction with standard ART practices, as well as tools to be used for the emotional and financial aspects of infertility. OMS is proud to again be sponsoring the fun event for an amazing cause, The Baby Girl Project. Oriental Medicine Specialists, P.C. is pleased again sponsor this incredibly fun event that benefits The Baby Girl Project. Today is Oriental Medicine Specialists 15th Anniversary! We would like to thank all those who have supported us over the years. You've helped make OMS one of the most successful Acupuncture & TCM clinics in the country. But more importantly, you've help us offer and provide quality Holistic Healthcare to thousands of people living in and around Richmond, VA.
We look forward to serving Richmond for many more years to come.